April 2018 kicks off with an early Easter and the spring celebrations continue with bluebells, National Parks, art fests, and more events for every age and interest. 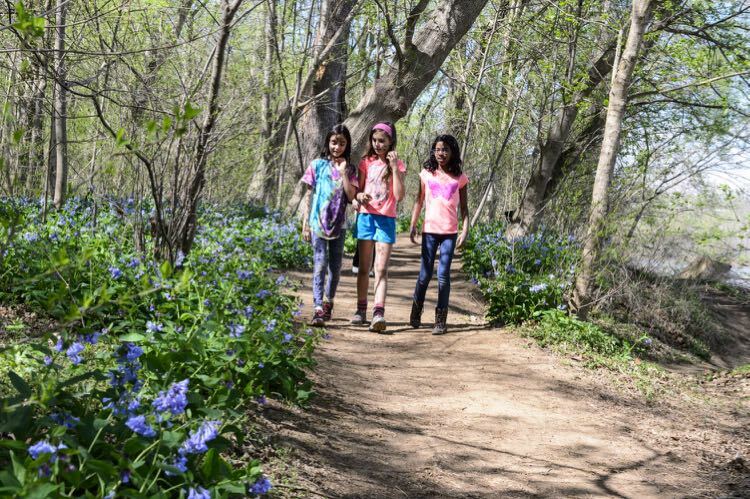 We love to celebrate the return of spring to Northern Virginia, and we’ve even created a Spring Bucket List of 30 Fun Outings with gardens, hikes, scenic drives, and fun throughout the greater Washington DC region. Whether you’re volunteering at your favorite park, communing with nature, or enjoying cakes, flowers, art, antique cars, horses, music, art, and more you’ll find an April 2018 event below. There are even special events for your four-legged friend. Have a fun and happy April 2018! 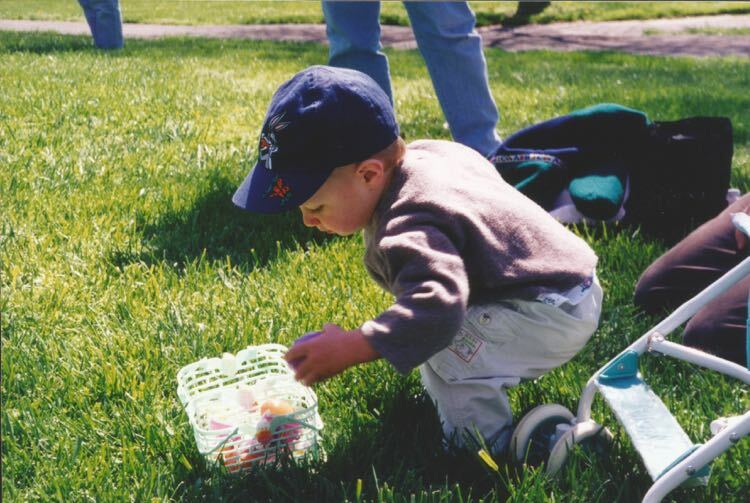 Most of the Easter egg hunting occurred in March, during the run-up to Easter, but there are still a few egg hunting events and ongoing spring in April. Follow the link for egg hunting details and be sure to make reservations early as many of these events sell out every year. 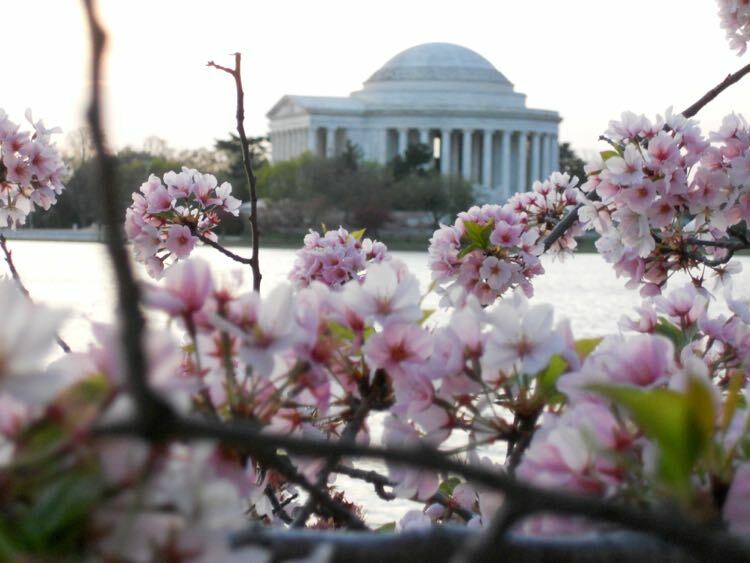 Head to DC for the annual Cherry Blossom Festival, with special events and fun all month long. The popular parade is on April 14. from 10:00 – noon. Follow the link for other event details. Celebrate Maryland’s birthday with a weekend long celebration of its art, heritage and culture at 20 locations in Annapolis Maryland and Anne Arundel County. Maryland’s birthday is officially on March 25th, a state holiday that commemorates the formal founding of the colony of Maryland, when settlers from England celebrated a Mass of Thanksgiving on St. Clement’s Island in what is now St. Mary’s County, Maryland. Follow the link for a full list of Maryland Day events. The Fairfax County Park Authority is partnering with The Nature Conservancy to clean up our watershed. Join fellow volunteers and help remove tires, plastic bottles, cans and other debris from local waterways and help prevent trash from reaching the nation’s largest estuary, the Chesapeake Bay. Many other clean-ups are held throughout the watershed region in April, including a Park and Stream Clean-up in Herndon at Runnymeade Park on April 21st (8:00 – noon). Check this map to find additional clean-up events near you. Civil War Trust Park Day is an annual hands-on preservation event to help Civil and Revolutionary War battlefields and historic sites with maintenance projects large and small. 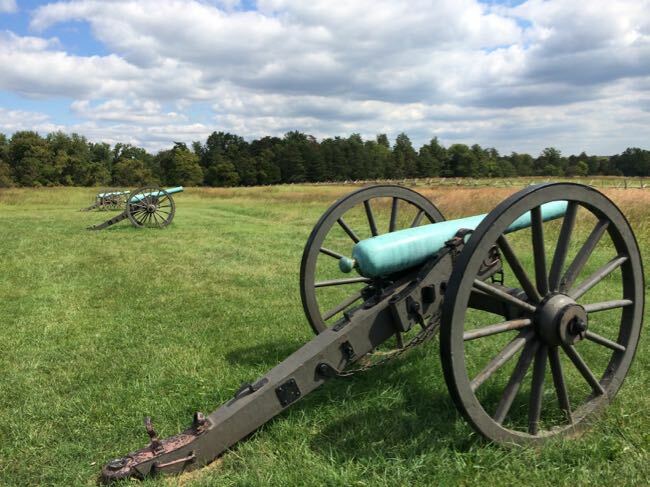 Assist with trail maintenance, invasive plant control, fence construction, and trash pick-up at Manassas National Battlefield; clear trash and clean signs at Balls Bluff; repair fences and maintain trails at Bristoe Station and more. Follow the link and scroll down for a list of Virginia park events. Burke Lake Park once again welcomes riders on their one-third-scale replica C. P. Huntington steam train. The ride covers over 1.75 miles of track, takes 10 minutes, and reaches speeds of 10 to 12 miles per hour. 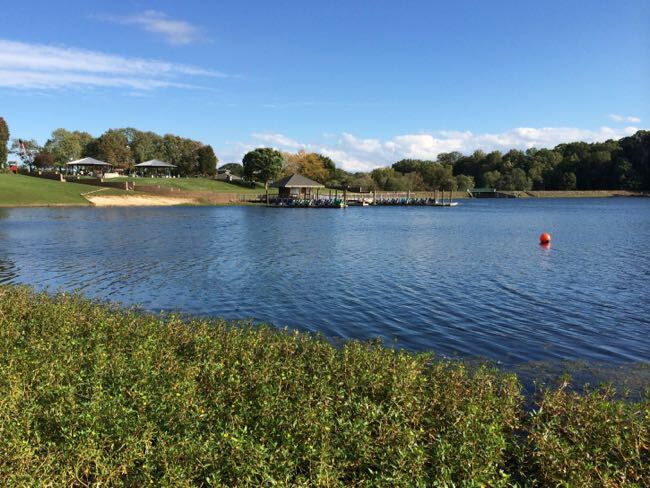 Visitors can also take a spin on the carousel and walk or bike the 5-mile trail around Burke lake, rated one of the 10 best urban fitness trails in the nation by the American Hiking Society. 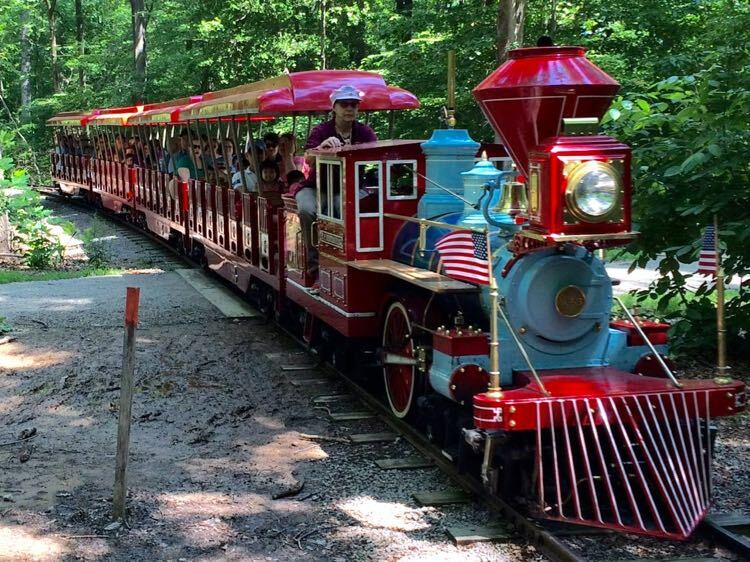 The train and carousel are open weekends through May, then daily beginning May 28. Enjoy a morning of fishing at Ashby Pond Conservatory, which will be well stocked with hundreds of trout. Bring a fishing rod, bucket, plastic bag and ice. A limited number of fishing rods will be available and bait will be supplied. Volunteers will provide instruction, pond education and fish cleaning demonstrations. $5 registration required. Sessions at 9:30, 10:15, and 11:00. Bring the family and enjoy local art by a variety of artists and Prince William County students at Brentsville Courthouse Historic Centre. Try your hand at the “Make Your Own Art” table and On-the-spot Art Workshops. You can even watch one of our many local artists painting on-site There will be local art for sale and the Historic Courthouse will be open for self-guided tours. Free; 11:00 – 4:00. 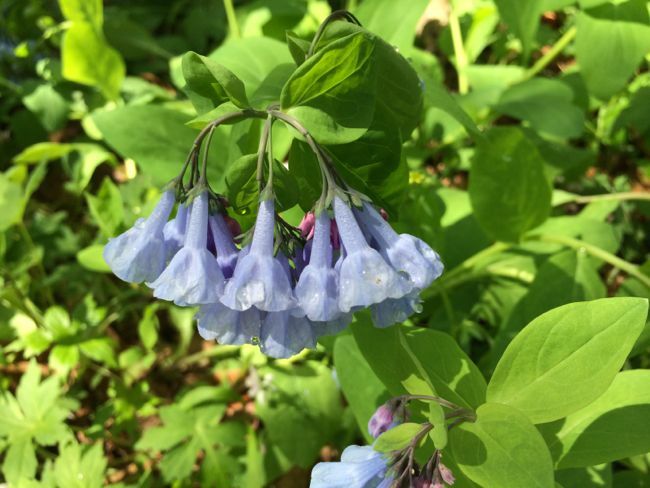 Welcome spring and come out to view the spectacular display of Virginia Bluebells at the Stone House Visitor Center at Merrimac Farm in Nokesville, Virginia. The Bluebell Festival will include a series of naturalist led tours, followed by an easy one-mile walk through the floodplain. Each tour has a special focus, although leaders cover all interesting sights. Local environmental organizations will be there with displays and activities for children of all ages. Bring binoculars, cameras, and the kids, and come out to join us for a day of fun, on April 8th from 10:00 am to 4:00 pm. Enjoy family fun along the colorful midway with circus shows, fair food, carnival games and rides for all ages, from delightful kiddie rides to daring thrill rides, and the new Super Cyclone Rollercoaster. Admission, carnival parking, and Victoria Circus acts, including The Globe of Death motorcycle thrill show inside a 15-foot steel cage, are free. Follow the link for ride ticket prices. 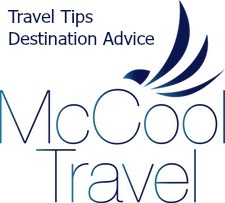 5:00 – 11:00 Mon – Friday; noon – 11:00 Sat and Sun. Great Country Farms welcomes families and their canine companions for a day of outdoor fun. 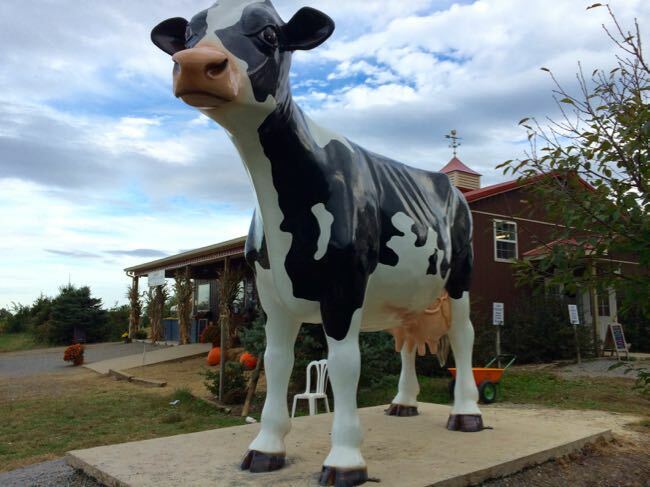 Kids can enjoy the play area and a wagon ride to see the orchards and farm in bloom. Dogs can try an impressive dog agility course, Doggie Olympic Games, demonstrations, and a dip in the pond. New in 2018: a Frisbee Competition with the Appalachian Air Canines (Saturday), and an introduction to Canine Nose Work with a Certified Nose Work Instructor. $8/$10 child/adult admission, doggies free, 10:00 – 4:00 daily. 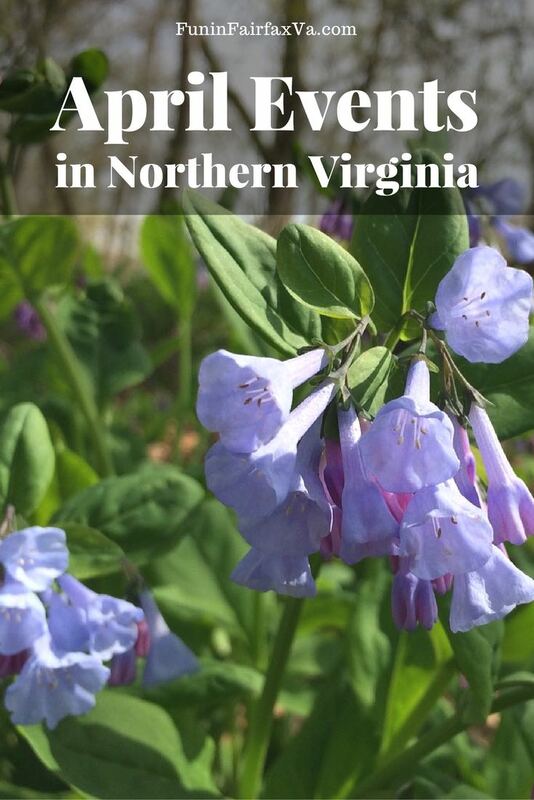 Welcome spring’s arrival in Virginia and witness one of the most beautiful naturally occurring events in the area. 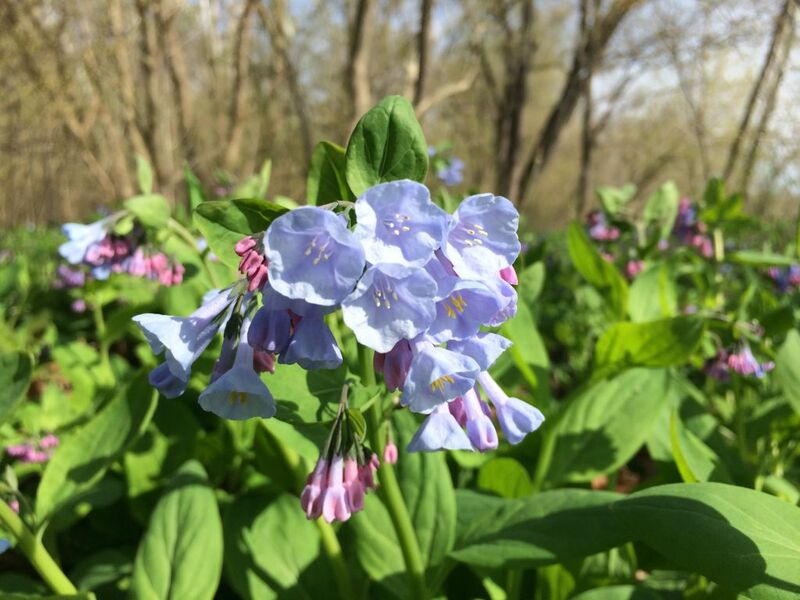 The Bluebells at the Bend festival at Riverbend Park celebrates the blooming of the abundant native Virginia bluebells which blanket the forest floor with a gorgeous layer of light blue. The event features wagon rides, wildflower walks, musical entertainment, and more, and is a perfect outdoor excursion for families. Explore the trails on a hike by the river or through the woods. Arrive early as parking spaces close to the visitor center fill up quickly, especially if it’s a beautiful day. $7 in advance, $9 at the park; 10:00 – 3:00. 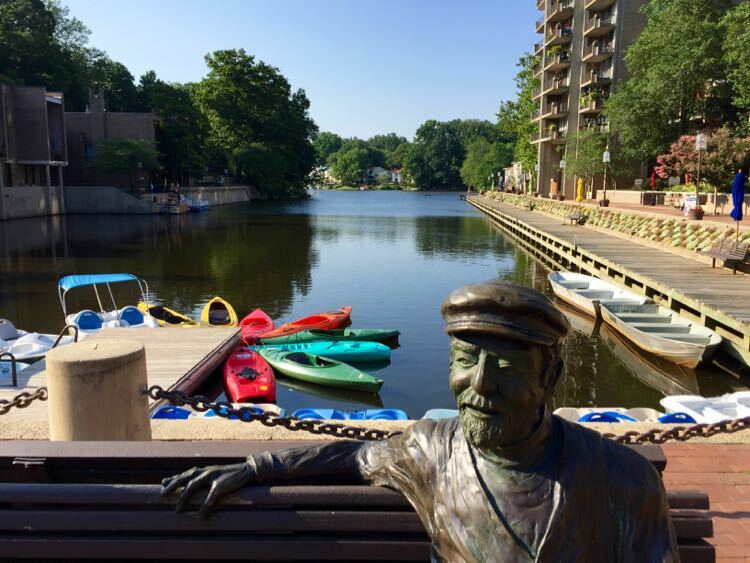 Celebrate the 54th anniversary of Reston’s founding with a fun day honoring Reston and the town’s founder, Robert E. Simon. The day-long festival features a day of fun with children’s activities, music, and more. The free event runs from 11:00 to 4:00. 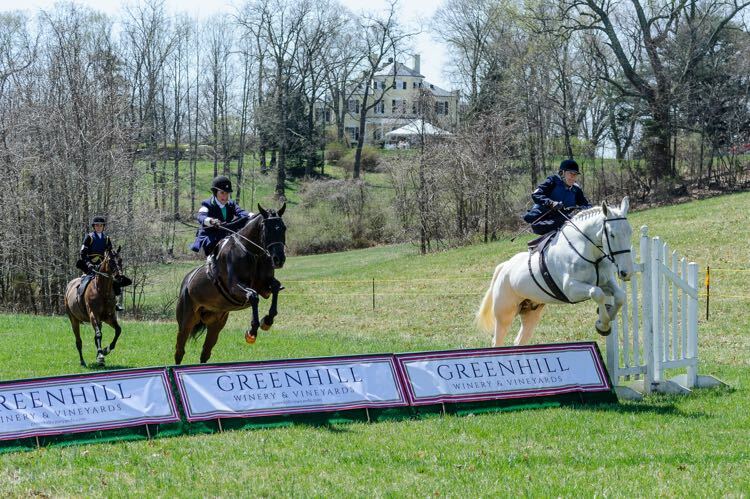 Take a trip to Loudoun’s famed horse country to experience the thrill of racing during the Loudoun Hunt Point to Point Races at Oatlands Historic House and Gardens. Enjoy a series of races including the unique side saddle event. Featured in the hit PBS series Downton Abbey. The Loudoun Hunt Point to Point Races feature some of the most challenging timber and hurdle courses in Virginia and are thrilling to watch as participants race to the finish. Doors open at 10:30, first race at noon. Follow the link for tickets and event schedule. The National Park Services once again partners with the National Park Foundation, the official charity of America’s national parks, to present National Park Week, a celebration of our national heritage. National Park Week welcomes visitors with a day of fee-free entry at all parks, plus special programs on April 21st, the first day of National Park Week. On Earth Day, April 22, pitch in with a project and help out at a park. 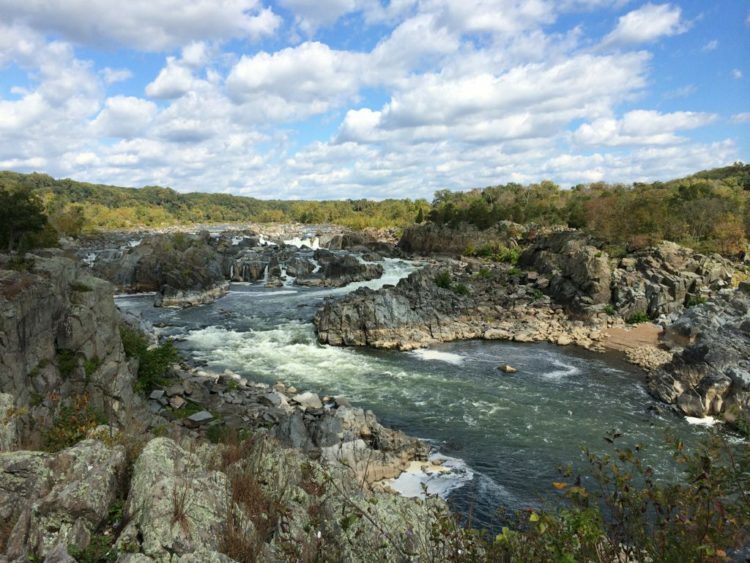 Check out Places to Celebrate National Park Week in Northern Virginia for tips on where to find a national park in the Northern Virginia area. Historic Leesburg will be in full bloom as lush landscapes and gorgeous gardens fill the streets. Over 150 vendors will be on display featuring landscape designs, gardening supplies, outdoor living items, plants, flowers, herbs, and more. Food, music, children’s entertainment and crafts will add to the fun during this two-day event. Be sure to visit the Beer Garden located on the Town Green. This tasting area will feature some of Loudoun County’s best breweries. $3 suggestion donation. Saturday 10:00 – 6:00; Sunday 10:00 – 5:00. National and local artists will exhibit outdoors on the streets of Arlington at the 6th annual Festival of the Arts. Enjoy a weekend of true visual inspiration, as over 100 artists will showcase their works including glass, mixed media, paintings, jewelry, and pottery; providing all sorts of opportunities to appreciate and purchase art. Free; 10:00 – 5:00 daily. SpringFest Fairfax is a county-wide party to celebrate Earth Day and Arbor Day, offering family-friendly activities at the Sully Historic Site. Pet an alpaca; run through an environmental obstacle course; participate in environmental crafts; check out the bees and the trees; consult with Master Gardeners; buy plants for your garden, and more. Attendees enjoy a petting zoo, touch-a-truck, and hands-on activities and games that highlight our local environment. Food trucks will be on hand. Admission is free; parking is $5. 10:00 – 4:00. Visit Gunston Hall for a Kite Festival and old -time fun. Fly a kite in the pastures, write with a quill pen, play 18th-century games, climb on a modern fire truck, and purchase colorful kites. $10/5 adults/under 18, 10:00 – 4:00. The evening will include a juried art show with works by local artists for sale, live music by local Latin-Jazz band Batida Diferente, a live charity auction, appetizers, wine, and beer tastings. Tickets are $45 through April 20, and $50 at the door. 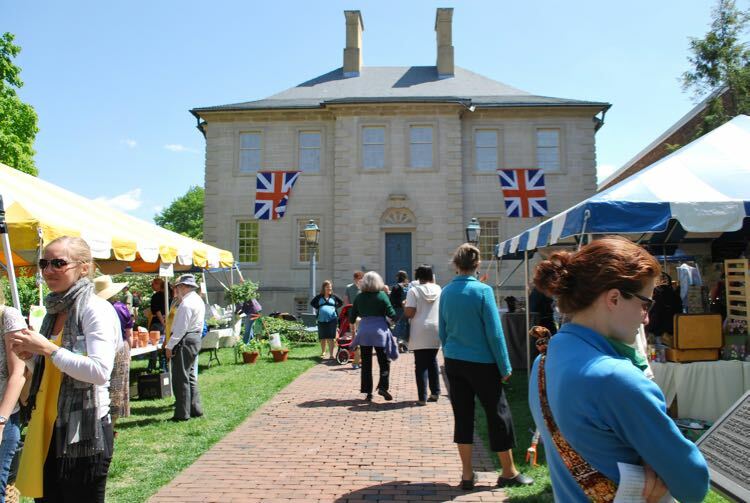 The 85th Annual Alexandria Historic Homes & Garden Tour features five privately owned Old Town homes and gardens plus admission to historic properties like the Lee-Fendall House Museum & Garden, Carlyle House Historic Park, and George Washington’s Mount Vernon. Enjoy a close-up view of original hardwood floors and windows, spectacular landscaping, lovely backyards, and beautiful covered porches. The large, colorful front doors that line the historic cobblestone streets are another highlight.Tours run from 10:00 to 4:00, and tickets are $45 in advance, $55 day of, and $25 for single site admission. Purchase tickets at the Alexandria Visitors Center on King Street. A neighborhood event for more than 20 years, the ValeArts Spring Show will exhibit more than 150 original works of fine art in various media, styles, and sizes. Kid’s can create their own works at the creativity table. Artists reception Friday 7:00 – 9:00 PM. Free, 10:00 – 6:00 daily plus Friday reception. Historic Blenheim Estate hosts an action-packed day of living history spanning the 19th century. Period music, living history encampments and demonstrations, hayrides, tours of the Historic Blenheim House, and more.Admission of $5/$3 adult/youth benefit the restoration of Historic Blenheim; 10:00 – 5:00. The 7th annual Taste of Vienna returns to the Vienna Volunteer Fire Department, with samples of delicious dishes from Vienna area restaurants plus free entertainment. The free event (tastings and drinks available for purchase) benefits the VVFD, and includes kid-friendly activities. 11:00 – 8:00. Take a self-guided walking tour of the largest enclave of mid-century modern homes in the Washington, D.C. region. 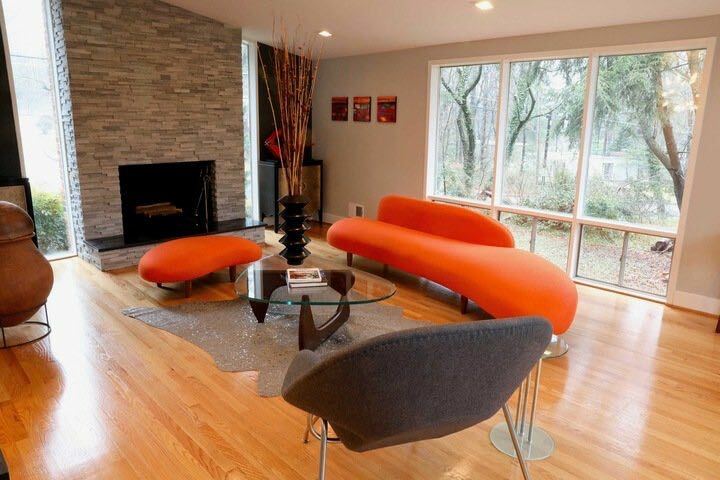 You’ll see stunning examples of the architecture, interior design and landscaping that inspired AMC’s Mad Men; the Set Designer for the show grew up in Hollin Hills. The April 2018 self-guided tour showcases 10 stunning examples of mid-century modern architecture and landscape. $30/40 advance/day of; noon – 6:00. WestRash Charities, a nonprofit charity dedicated to finding cures and providing hope for kids with cancer, will host the Warrior Angels 8K Run/Walk at Burke Lake Park. This annual event brings together runners and walkers to raise money for pediatric cancer research, Make it Better MISSONs (experiences, entertainment and comfort items for kids currently in treatment), and family support services. Fun run at 8:00′ 8K at 8:30. Bring your canine companions to Prince William Forest Park. There will be working dog demonstrations, information booths, local rescues, a “Dogs Got Talent” show, and a one-day-only off-leash dog park. 10:00 – 3:00. 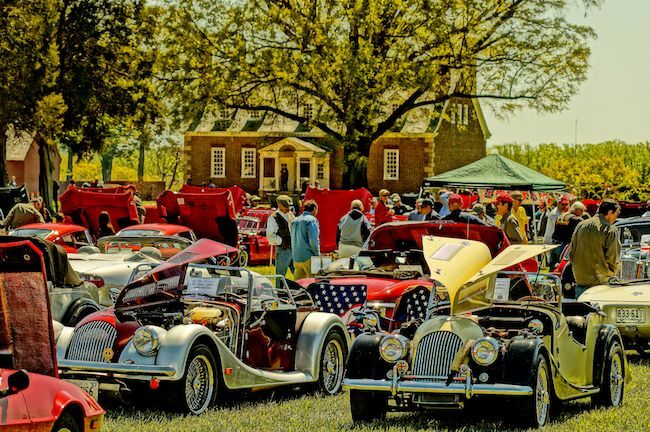 The 21st Annual Car Show, sponsored by the Capital Triumph Register, returns to Gunston Hall. Enjoy the 2018 driving season with a picnic, a day of British automobiles, and a complimentary tour of the historic house and grounds. British cars in 25 categories include Triumphs and MGs joined by Austin Healeys, Jaguars, Rolls and Bentleys, Minis, Lotuses, Land Rovers, and cars you’ve probably never seen before, such as Jensen, Riley, and Wolseley. Admission is $10/8/5 Adults/Seniors/6-18, 9:30 – 5:00. For the 44th year, residents of Vienna’s Windover Heights Historic District will open their yards and gardens in a welcome to spring for the public to enjoy. The annual Walk on the Hill features an afternoon of flowers, gardens, music, art, and more. Free; 2:00 – 5:00. Whatever April 2018 events you choose to attend, we wish you a month of happiness and fun!